Customized Facial – $80.00: This custom, deep cleansing facial gives you both results and a relaxing censorial experience. Our experts will tailor your session to address your concerns from sensitive skin to breakouts to fine lines using the best natures remedies. Vitamin C Wrinkle Repair Facial – $110.00: Fall in love with your skin with this highly regenerating corrective treatment that combats the sign aging using 100% skin loving formulas. A potent Vitamin C treatment that helps to firm, brighten and smooth the skin to reduce the appearance of fine lines and wrinkles while improving skin tone and firmness. Acne Clearing Facial – $95.00: An absolute must if you’re breakout-prone and have clogged pores or blackheads. 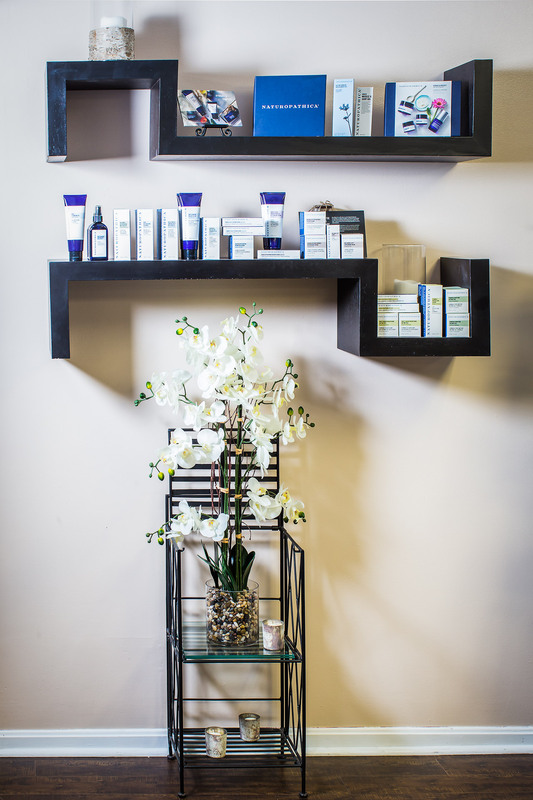 You’ll receive a personal skin reading followed by deep pore cleansing, exfoliation and medicated mask that contains enzymes, antioxidants, antiseptic and anti-inflammatory ingredients. Make this effective treatment a part of your continuing fight against acne. Repechage 4 Layer Facial – $110.00: Layer upon layer of pure European seaweed to rejuvenate, tone and firm skin dramatically. Be massaged with mineral rich masks and energizing seaweed which provide immediate and long term benefits. A premier ant-aging treatment that will leave you with a youthful glow and visibly renewed moisture. Fast Results Facial – $50.00: With Lifting Mask-65.00 Need a facial but short of time? This quick yet highly personalized treatment will cleanse, exfoliate and revitalize your skin in just 30 minutes. Have your pores deep cleansed and extracted or enjoy a skin rejuvenating facial massage. Your choice! Either way you’ll experience a treatment that leaves your skin feeling clean, smooth and revitalized. Ultrasonic Facial – $65.00: Ultrasonic Facial removes the top layer of the dead skin cells that tend to dull the skin. The more you resurface the outer layer of skin, the more skin growth will come up from underneath and be renewed. Your pores will appear smaller and tighter with an all –over healthy glow. Facial for Men – $65.00: A customized treatment designed to keep your skin looking its best. We’ll start with a deep cleansing and exfoliation to target any breakouts, blackheads and ingrown hairs. Next a custom blended mask will be applied to soothe, balance and tone your skin. All this, plus a relaxing massage of the face and neck and shoulders. You’ll emerge looking and feeling like a million. Facial Add On’s – $15.00: Anti- Aging Hand Treatment Don’t let your hands tell your age! This treatment combines ultrasonic anti- aging technology with the natural power of cherry enzymes to brighten and hydrate youthful looking hands. Can also be added to a massage. Eye Treatment – $15.00: Reveal younger looking eyes today! This treatment uses ultrasonic technology and vitamin k to dramatically reduce puffiness and dark circles and finishes with an aloe and hyaluronic eye mask to increase firmness and reduce fine lines. Peppermint Foot Therapy – $15.00/$30.00: This revitalizing foot and lower leg treatment is designed to reinvigorate the whole body. Calves and feet are massaged with a stimulating Peppermint balm and then cocooned in steaming hit towels to wake up tired feet. (10 / 25 minutes).